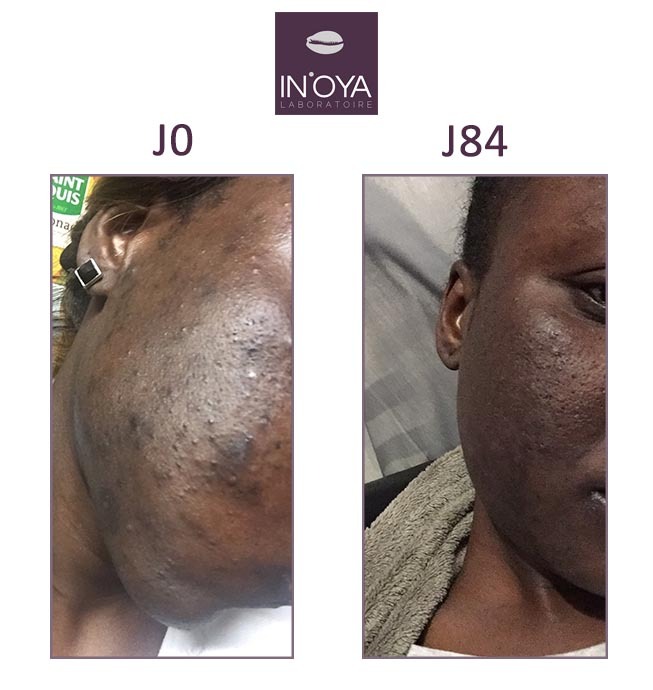 OYA Blog > Testimonials > My skin has transformed! Afi, 40 years old: “For so many months, I suffered from larges acne spots on my face after using a lightening lotion on my face. The spots were enormous, painful and they left my face covered in dark spots which I camouflaged with foundation, it was unbearable! When I discovered the IN’OYA products, I hesitated before testing them because I was tired of testing new ineffective products. I decided to go for it once I was sure that the whole range didn’t contain any dangerous or lightening ingredients. Following a conversation with one of the team who kindly listened to me on the telephone and explained the care protocol to me, I began he anti-blemish treatment by using the Correcting Serum and the Corrector Unifying Matifying. 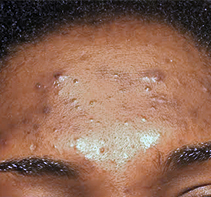 To my great surprise, after 10 days of treatment, I already began to see the spots disappear and the blemishes diminish. Pleasantly surprised, I called IN’OYA to thank them. I recall saying “It’s a miracle cure!”. After 2 months of treatment, I had no more spots and no more blemishes. My complexion is even and my skin is radiant. I have baby-soft skin. I can assure all women who are in the same situation as me that the MEL’OYA® anti-imperfections range is effective and works remarkably well on blemishes. I would like to thank all of the team for the support, their listening ear and all of the sound advice that they provided to me. To finish up, I would like to stress and reassure my sisters that this product is not a bleaching product, but rather a smoother. It smoothes the complexion and makes you more than radiant. Finally, don’t forget to take your make-up off every night before applying the treatment!”.